A number of high profile music figures, including George Michael and all four members of British band Arctic Monkeys, are among 1,600 people who collectively tried to shelter £1.2 billion ($2 billion) in a tax avoidance scheme, reports The Times. Investors in the Liberty tax strategy also include Sir Michael Caine and Take That star Gary Barlow, alongside a number of top businessmen, QCs, NHS doctors, party donors and a judge, according to a secret database leaked to the British newspaper. 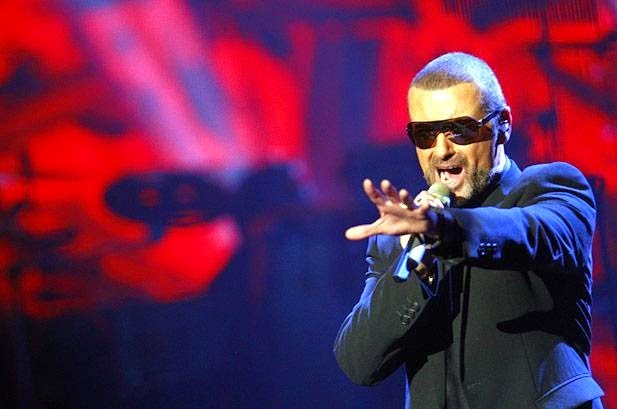 George Michael reportedly sought to shelter £6.2 million ($10.6 million) in record and tour sales after paying £443,000 ($750,000) in fees to Mercury Tax Group, the Leeds-based company that ran the scheme. The singer’s investments in Liberty were made about 7 years ago – around the same time that he embarked his “25 Live” world tour. It was also reported that the four members of Arctic Monkeys - Alex Turner, Jamie Cook, Nick O’Malley and Matt Helders - sheltered between £557,000 ($950,000) and £1.1 million ($1.9 million) in the Liberty scheme. George Michael’s publicist and representatives of the Arctic Monkeys all declined to comment, states The Times. Katie Melua, meanwhile, sought to shelter £850,000 through Liberty in 2008. Two years later, she was nominated for Christian Aid’s Tax Superhero Award after publicly stating that she paid “nearly half of what comes to me in taxes”. Speaking to The Times, Melua’s lawyers said that she had invested in Liberty at the suggestion of her accountants but repaid the sheltered tax to Revenue & Customs and so had not avoided tax. HM Revenues and Custom (HMRC) has spent more than a decade investigating Liberty, which generated huge artificial ‘losses’ offshore which its members could then use to avoid tax on other income. HMRC is due to challenge the legality of the scheme in court next year. However, under new Treasury rules due to be brought in this month, Liberty members may have to pay back hundreds of millions of pounds in disputed tax before any hearing takes takes place. The Times states that Gary Barlow, who reportedly invested over £4 million ($6.8 million) in the Liberty scheme, is among those who can expect to receive a large tax bill in the coming weeks. Barlow also faces a separate tax bill over his involvement in a second tax avoidance scheme called Icebreaker, which was discredited by Judge Colin Bishop at a ruling earlier this year. Barlow’s Take That bandmates Howard Donald, Mark Owen and band’s manager, Jonathan Wild, were also reported to have invested in the Icebreaker scheme, which was used by around 1,000 people and wealthy individuals to shelter approximately £340 million ($580 million).